Laughs & Rants from My Inner Child: The trip begins! 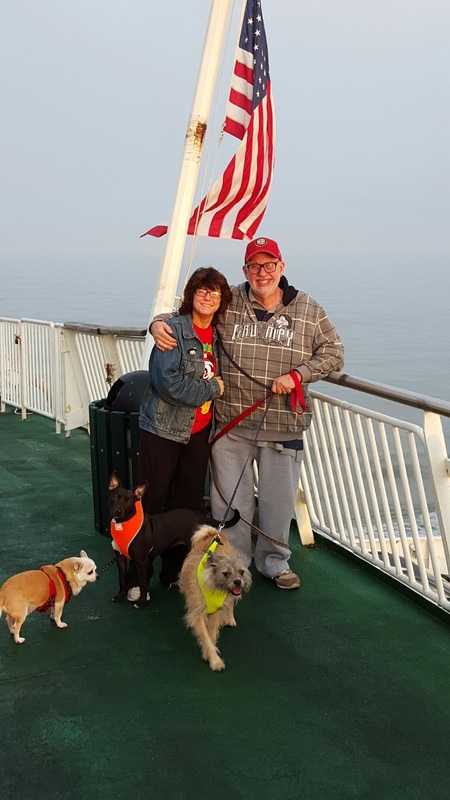 We decided to start the journey in a fun way: the Cape May Ferry! We met a wonderful couple and they took this picture for us. We took one of them, of course! The weather is amazing! Mild, no wind. I thought we'd be stuck in the car because it would be cold. Luckily look at us just in jean jacket and a hoodie!